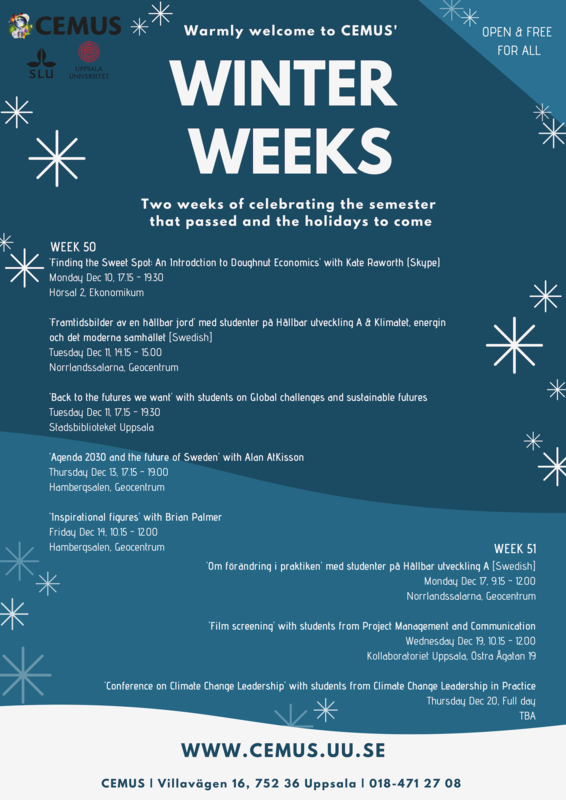 Warmly Welcome to CEMUS’ Winter Weeks! Two weeks of celebrating the semester that passed and the holidays to come. ← Dec 11: Back to the Futures We Want – How do we get to sustainable futures?